After running what looked like a parallel government for three and half years by holding the whole country hostage, the suspended CIAA chief commissioner Lokman Singh Karki is now facing an impeachment motion in the parliament. Even though opponents of the motion have called it ‘propaganda’ to deflect attention from constitution implementation, the impeachment was long overdue in order to safeguard our hard-earned democracy which Karki was trying to subvert. The parliamentarians should speed up the impeachment process and remove Karki from CIAA for the following reasons. One, since he was appointed CIAA head he has been abusing his authority and overstepping his jurisdiction. He has looked to silence his enemies and exact revenge against those who opposed his appointment in 2013. He used state machinery and intelligence to spy on his opponents so that he could file false corruption cases against them. He threatened the media as well. Karki’s actions also violated the principle of civilian and constitutional supremacy as he acted pretty much as if he was above the law. Two, when the parliament’s Finance Committee summoned him in November 2014, he snubbed it. It has also come out that he exerted pressure on the governor of Nepal Rastra Bank to allow Axiata to repatriate a dividend of over Rs. 8 billion, even though the issue of capital gain tax hasn’t been sorted out in the sale of Ncell to Axiata. Three, Karki even undermined judicial process by obstructing the process of serving of court summons. Those who went to hand over court summons as well as the lawmakers who registered impeachment motion have reportedly received life threats. Four, Karki put on hold the graft cases concerning his kin and cronies but expedited those concerning the individuals who had stood up against the royal regime when he was chief secretary of King Gyanendra. 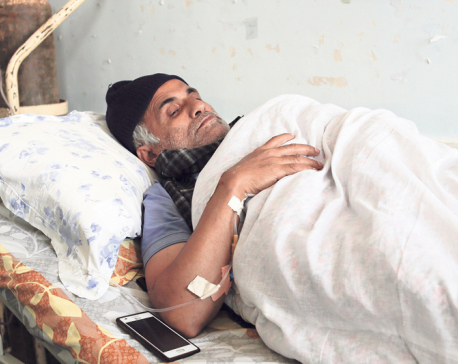 He is also accused of putting undue pressure on Nepal Medical Council to increase MBBS seats at KIST Medical College owned by his own brother, Balman Singh Karki. He arbitrarily increased the number of MBBS seats in KIST to 135, far above the legally approved 75. Five, under Karki, CIAA officials and police stormed Kathmandu University premises and conducted the entrance examination of post-graduate medical program on its own which is against the jurisdiction of CIAA. Six, Karki as the chief secretary during King Gyanendra’s rule was implicated by the Rayamajhi Commission for suppressing peaceful people’s movement; he was thus declared unqualified to hold any public office. He was also charged by CIAA of corrupt practices. Article 119 of the new constitution clearly states the criteria for the appointment of CIAA head. The person should have “at least 20 years experience in designated fields,” according to the constitution. Karki does not meet this requirement. The only qualification that Karki had was his close link with a foreign power and corrupt politicians. When the High Level Political Mechanism led by Maoist Chairman Pushpa Kamal Dahal recommended him as CIAA chief in 2013, everybody was dumbfounded. The Khil Raj Regmi, the then prime minister, had mysteriously threatened not to hold the second Constituent Assembly elections if Karki was not appointed. 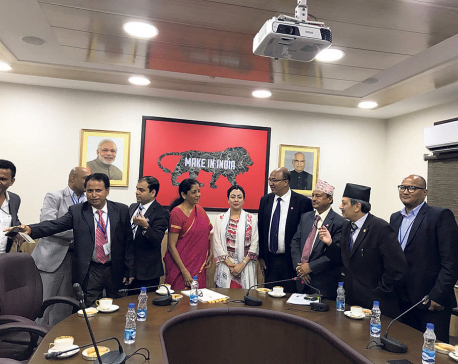 It is believed that Indian president, Pranab Mukerjee, personally telephoned his Nepali counterpart, Ram Baran Yadav, to approve Karki’s appointment. Karki has not undergone parliamentary hearing either, which is mandatory for all aspirants of key constitutional posts. If we go on searching, we will find dozens of other reasons to impeach Karki. Most important, under his watch the CIAA has not been able to convince people that it is working to control corruption in the country. 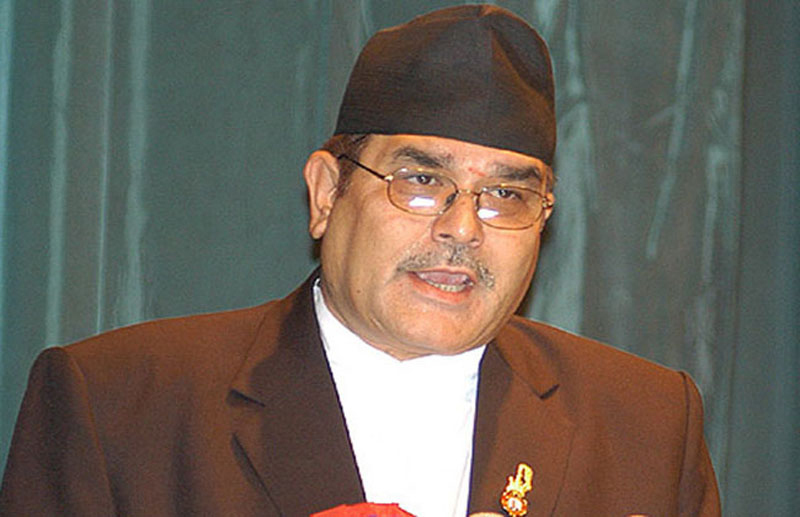 The ruling Maoist party and the main opposition CPN-UML have stood in favor of Karki’s impeachment. Nepali Congress should support the motion. It is not about taking action against an individual. It is about building a system. This is the perfect opportunity for our political parties to correct the mistake they made three years ago. Rarely does such a wonderful opportunity come! A teen has died after a hickey from his girlfriend caused a blood clot that quickly led to a stroke.